‘Meet the Swandro Specialists’ in the school hall, including special guest osteoarchaeologist Jackie McKinley of the ‘Time Team’. 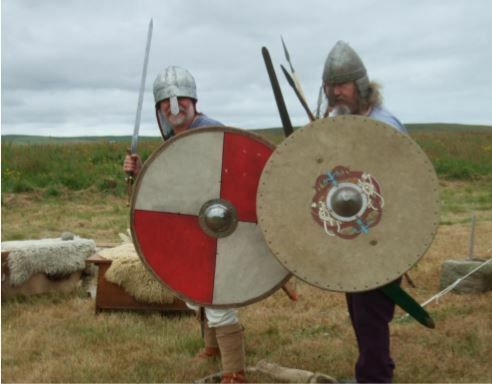 Visit the Viking encampment, sample a Viking lamb stew with bere bannocks. Free entry, raffle, all welcome. Free bus from pier meets the 10.40am, 11.50am & 2.45pm boats, returns to pier for the 3.20pm and 5.30pm boats.